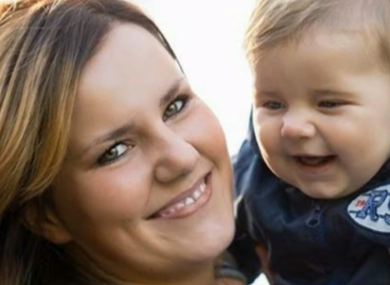 The body of baby Karol Rozycki was found by his mother on Sunday evening. THE MOTHER OF the baby boy who was found dead at an apartment in Killarney, Co Kerry over the weekend has thanked the public for their support. Karol Rozycki is understood to have been discovered by his mother Anna after she returned from work on Sunday evening. Her partner was with the 11-month-old child at the time and was found with serious injuries. The man, who is in his 30s, is still being treated at University Hospital Kerry in Tralee. I’d like to thank those who in the last few days have supported Anna in prayers and thank you for all your help and kindness. I’m impressed by how the inhabitants of Killarney can rally around in the face of tragedy. Me and my family are proud to be a part of this community. We have met a lot of wonderful people and we want to express our gratitude. It’s understood that Rozycka will fly to Poland tomorrow with the body of her son, where he will be buried in the city of Bielsko-Biala. The investigation into baby Karol’s death is continuing and gardaí are appealing for people who were in the area at the time to come forward. Email “Mother of baby found dead in Kerry apartment thanks public for support ”. Feedback on “Mother of baby found dead in Kerry apartment thanks public for support ”.